We are a leading Manufacturer of pneumatic system trainer, dc servo control trainer, rotary transfer unit and water level control trainer from Jaipur, India. 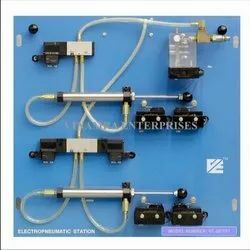 We are highly acknowledged organization in the domain, engaged in offering high quality Pneumatic System Trainer. 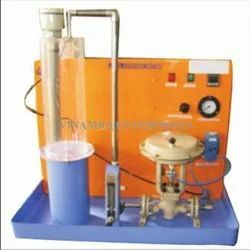 The offered system trainer is designed utilizing top grade material and latest technology, in compliance with the quality standards. Our offered system trainer is checked by quality controllers to deliver a flawless range from our end. 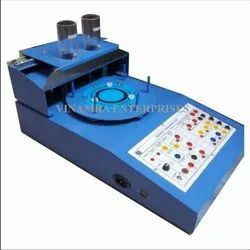 Moreover, we provide this system trainer in several specifications that can also be customized as per needs of our customers. We are the leading manufacturer, trader, and supplier of an exclusively designed DC Servo Control Trainer. 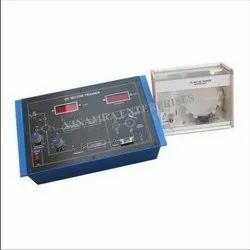 We design this control trainer using precise grade components and leading technologies in adherence with the set quality norms. Our offered control trainer is commended due to its performance & quality. The control trainer offered by us can be availed by our customers at market prices.